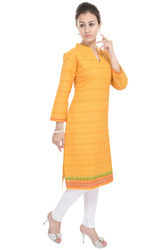 We are also instrumental in offering wide range of Printed Kurti. These are designed with high quality printed fabric. 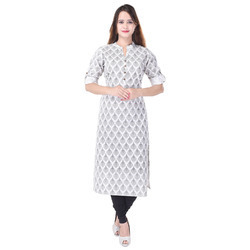 Our wide range includes Floral Printed Kurti, Agarakha Style Printed Kurta, Classy Printed Kurta, Traditional Wear Printed Kurta, Embroidered Printed Kurta & much more. 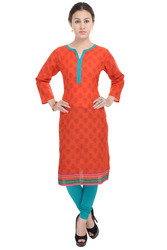 Our amazing range of Printed Kurti is highly demanded in all the markets due to its high quality fabric & prints. 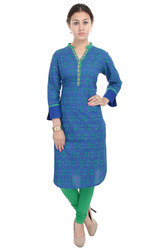 Being the reckoned names in the industry, we offer an extensive range of Blue Printed Kurti that is manufactured with utmost accuracy. We offer them in varied finishing standards and are creatively designed. 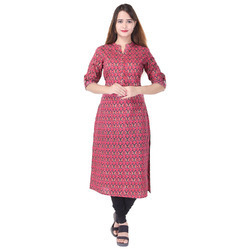 Black & Red Printed Kurti add graceful look to the wearer and are delivered as per the fashionable trends prevailing in the industry. We hope you will enjoy our wide range of creations are adorned with traditional block printed motifs and prints, Designed into chic apparel. Every piece is made at tarini creation's with great passion and care, manufacturing unit in jaipur using natural fabric. We hope you will enjoy our wide range of creations are adorned with traditional block printed motifs and prints, Designed into chic apparel. 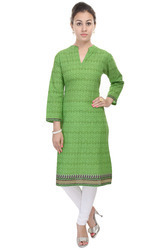 Every piece is made at tarini creation's manufacturing unit in jaipur, with great passion and care, using natural fabric. We hope you will enjoy our wide range of creations are adorned with traditional block printed motifs and prints, Designed into chic apparel. 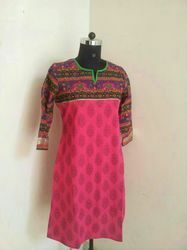 Every piece is made at tarini creation's with great passion and care, manufacturing unit in jaipur, using natural fabric. 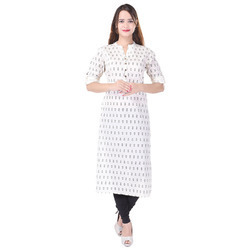 We are one of the most prominent names of the industry engaged in manufacturing, supplying, wholesaling and exporting exclusive Printed Kurti .We provide in bulk Quantity only. 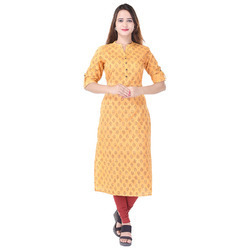 We are one of the most prominent names of the industry engaged in manufacturing, supplying, wholesaling and exporting exclusive Green & Yellow Printed Kurti.We provide in bulk Quantity only.